Volkswagen has successfully hired former Apple executive Alexander Hitzinger to help lead self-driving technology development. His larger role is direct responsibility for technical development for commercial vehicles, and he will also lead the company’s Mobility as a Service initiative, which imagines a future in which people will simply ride in cars rather than own them. Automotive News (subscription required) reported on Hitzinger’s hiring on Wednesday and noted the former Apple executive was part of the company’s Project Titan team. Project Titan was Apple’s self-driving electric-car project and was disbanded years ago after engineers tried to pull the project in numerous directions and Apple’s do-it-all approach didn’t fit well with a physical car. Today, Apple’s plans in a revived Project Titan team reportedly surround self-driving car software, not a physical car. Yet, several recent patents and the addition of a Tesla designer seem to hint Apple still toys with the idea of a physical car. Volkswagen and Apple are no strangers to one another, either. The two reportedly forged a deal this past May to use VW commercial vans for Apple’s future self-driving service. Before Hitzinger’s time at Apple, the 47-year old who was born in Germany was no stranger to the VW Group. He previously worked for Porsche and his resume includes time with Formula 1 racing at Red Bull Technology. 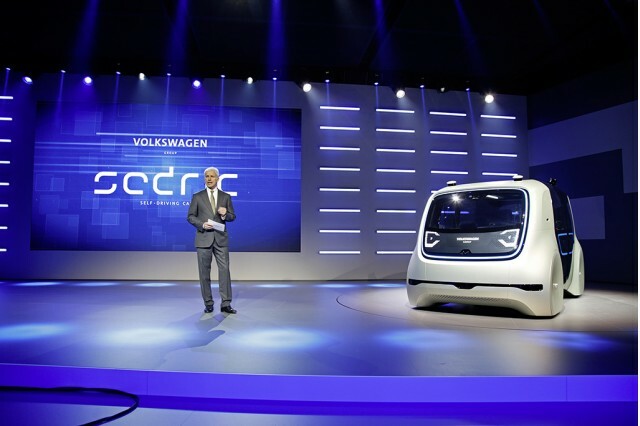 VW has admitted it’s likely two years behind other rivals when it comes to self-driving vehicle technology. The automaker reportedly tried to purchase startup Aurora to jump-start its autonomous car program, though the company declined an offer. VW and Aurora still operate a partnership, though the tech company has cozied up to numerous other automakers, not just VW. Despite delays, VW said it plans to introduce its first self-driving car for the road in 2021. 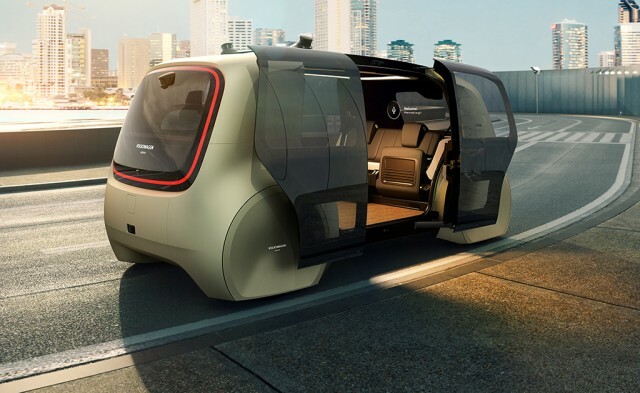 The automaker previewed the vehicle with its Sedric self-driving car concept at the 2017 Frankfurt Motor Show. The Cedric sports Level 5 capability, which requires no human on-board to take the controls in case of an emergency. The Sedric concept does not include a steering wheel or pedals.